I’m an author, keynote speaker, blogger and speechwriter. Storytelling is at the heart of everything I do. My memoir Both Sides Now: A True Story of Love, Loss and Bold Living is the winner of five literary awards: Readers' Favorite; National Indie Excellence Award; Living Now Book Award; American Book Fest International Book Award; and a CIPA EVVY. 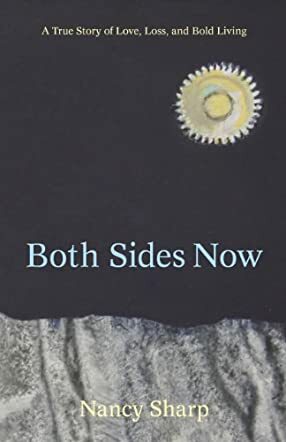 Both Sides Now promises hard-won wisdom; a gift for those looking to lift themselves from the embers of loss and adversity through bold living. In my case, I found sanctity in the Rocky Mountains and love again in the pages of a magazine. The past is simply part of our story; just not the whole story. As a keynote speaker, I present customized programs on BOLD Living™ to a variety of organizations and businesses. I am a transformational speaker and storytelling coach whose insights on moving through stasis and hardship helps individuals and groups to transform their narratives. Partial Client List: New York's 92nd Street Y, Centura Health, St. Luke’s Presbyterian Hospital, University of Colorado Hospital, LIVESTRONG Foundation Speaker Series, Stand Up 2 Cancer, Rotary, iTHRIVE, Denver Town Hall Series, Camp Experience, Miami International Book Fair, and the Jewish Book Council Tour. For many years I published personal essays and columns that have appeared in a variety of national, regional and online media. The same is true for reported pieces — general interest features about inspiring people as well as health, wellness, service, and travel stories. My work has appeared in Dr. Oz: The Good Life, Glamour, Woman’s Day, MORE, Marie Claire, SELF, National Geographic Traveler; and in regional media like 5280 Magazine, Colorado View, The Rocky Mountain News, and The Denver Post. I’m passionate about BOLD LIVING and express that philosophy through two blogs. Vivid Living: Life In Full Bloom™…Thorns and All captures the beauty amid the everyday ups and downs of life , whereas Tasting Life with Nancy Sharp ™ offers a delicious take on cooking, conversation, and the many ways we feast on life. Many of my posts are now carried by The Huffington Post. My love of people and writing also carries over to speechwriting for celebrities, Fortune 500 CEOs, non-profit executives and noted individuals. I’m the person to hire if you’re in need of inspirational remarks that audiences will remember. Please see my Speechwriting page to view a list of some of the extraordinary people with whom I’ve had the pleasure of collaborating. What else? I live in Denver and am a member of the rocking Lighthouse Writers Workshop. Oh, I also earned a MFA in Creative Nonfiction from Goucher College in August 2012. My undergraduate degree is from Northwestern University. Most important, I am a proud wife to Steve Saunders and the mother of four children. My twins are thirteen and Steve’s boys are twenty-one and twenty-three. Life is always full. Nancy Sharp and Brett Brett Zickerman seemed to be the perfect couple until, unbelievably, he got brain cancer while only in his 30s. After surgery and chemotherapy it seemed his cancer was gone, but since they knew he would be sterile after the chemo, they had stored some of his sperm. They felt safe to have children, and so proceeded with in vitro. When she got pregnant, they learned they were to have twins, and life seemed to be joyful again. But on the very day she gave birth to Rebecca and Casey, they found that Brett’s cancer had returned. Throughout Both Sides Now, a sensitive book of many short chapters, you’ll grieve with Nancy as they celebrate Brett’s last cheese steak sandwich, the last dinner party with friends, and his last goodbye with the children. He fought the cancer as long as he could and then suddenly he was gone. The twins were just toddlers and didn’t understand. They would wait for him outside his bedroom door. They were afraid for their mother to go anywhere without them for fear she wouldn’t come back either. You’ll weep at the tenderness of the children missing their father. And finally the story comes full circle, and they find a temple to belong to. They move on with their lives, as a family team, and find normalcy once again. Brett is always with them and they will always miss him, but life is happy again and their hearts are open to new experiences. Both Sides Now is a true story and conveys the raw nature of life when hard things happen. It’s painful when loved ones get sick and die and yet a young mother has to go on for her children. Nancy Sharp’s story should help bring comfort to others facing the impossible. This is a fabulous book that made me cry in a few spots and I'm not usually one to cry; maybe at a movie, but never a book. Five stars to Both Sides Now.